Shopping for a vehicle is an intriguing process. You must make so many decisions, all of which will impact your finances for several years. Every shopper near Woodmere, LA, is different, so it’s not easy to know whether to buy or lease a Maxima. Both options have good points and drawbacks, and they both satisfy people everywhere from all walks of life. To help you decide what you should do, consider some situations that may influence your decision to pick one or the other. For many car shoppers, finding the ideal model is the easy part; it’s the financial discussion that can get scary. If you tense up when it’s time to check credit, your score probably isn’t where you want it to be. The good news is that you can get financing even if you have mediocre credit. When it’s time to choose to buy or lease a Maxima, buying is your best bet when you have credit score concerns. Dealers will be more lenient with your scores when you buy than when you lease. Some drivers treat their vehicles as an extension of themselves. Cars can be a reflection of one’s attitude and personality. This is why you see people near Woodmere, LA, who modify their car and add elements such as custom paint, rear spoilers, special wheels, or premium sound systems. You can do this to your heart’s content when you buy your car. You won’t have this luxury if you lease. You may consider whether to buy or lease a Maxima, but maybe it won’t be your primary car, or maybe you’ll park it in the garage more often than not. If you know you won’t rack up high mileage, leasing is a good idea. You’ll have lower payments, and you’ll stay under the mileage limits, which are usually 12,000 a year. Even the best vehicles will start to fade as the years roll on. Vehicles require a lot of maintenance and upkeep, which can take a toll on your bank account. Customers near Woodmere, LA, like to lease because it gives them a chance to always drive newer vehicles. A new car has tremendous reliability and top-notch features. Review this list and consider what’s best for you when you want to buy or lease a Maxima. 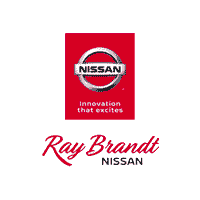 As you look for something near Marrero, LA, don’t forget to stop by Ray Brandt Nissan first.